Robert A. Salem, chief of the New Castle Police Department in Pennsylvania, sadly reports the death of Detective Sergeant Brian Cuscino. Sgt. Cuscino, 44, suffered a cardiac medical emergency while running on a treadmill during the New Castle Police Department’s mandatory physical fitness program for Special Response Team (SRT) members. Cuscino was participating in the wellness program and working out at a local gym when he collapsed. When Cuscino failed to report for duty at his 8:00 a.m. shift, officers went looking for him. He was located at the gym, but was unconscious and unresponsive. Emergency medical procedures were initiated and a call went out for advance life support medical care. Sadly, all efforts to revive him were unsuccessful. 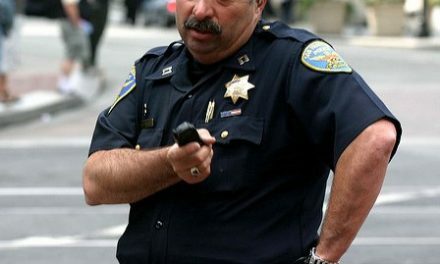 Cuscino served the New Castle Police Department for 17 years. 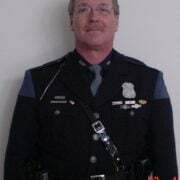 His first ten years were on a road patrol assignment before promoting to detective sergeant and assigned to the Criminal Investigation Division. During his tenure, Cuscino became the department’s lead homicide detective and had a 100% clearance rate for homicides he was assigned to investigate. He was known as an expert in his field. Cuscino was also was a SRT member. He was due to receive the New Castle Police Department’s “Officer of the Quarter” award later in the day. 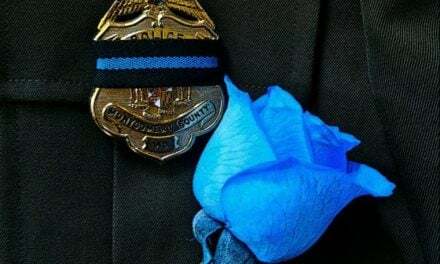 The law enforcement community was extending its sympathies and condolences to the New Castle Police and honors to Cuscino. Brian Cuscino is survived by his wife, Heather and their two sons, Brandon and Dustin. 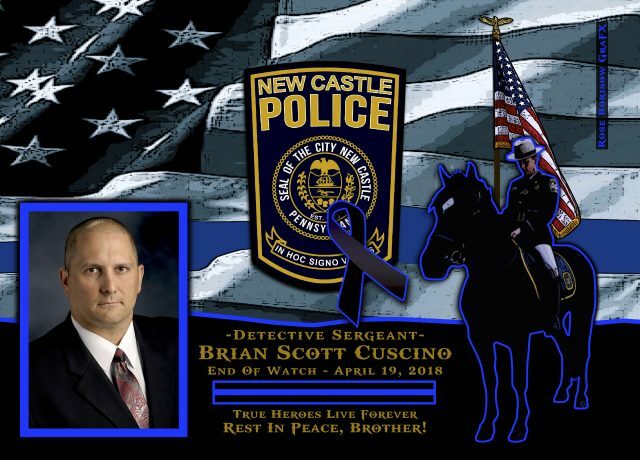 Detective Sergeant Brian Cuscino is gone, but will never be forgotten. 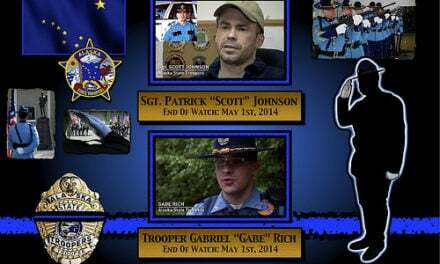 EOW: Thursday, April 19, 2018.